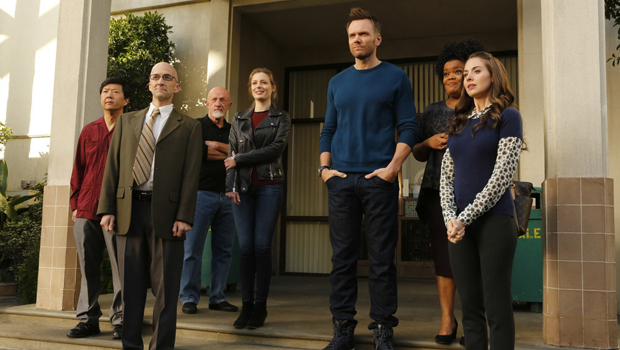 Could "Community" be heading to Hulu for season 6? "Community" may actually be able to achieve fans' hopes for #SixSeasonsAndAMovie. Hulu is reportedly in talks with Sony Pictures TV for a sixth season of Dan Harmon's recently-canceled quirky comedy. Deadline says the discussions are in the early stages and it's unclear whether they'd lead to a deal. If it happens, "Community" wouldn't be the first show to find new life online after cancellation -- Netflix brought back "Arrested Development" for a new season last year and doing the same with AMC's "The Killing" this summer. According to Entertainment Weekly, a proposed plan to revive "Community" would likely include a 13-episode season, putting fans and cast members one step closer to achieving those six seasons and a movie. And Hulu would be a logical choice for the show's new home, as the online streaming service already owns the digital rights to its first five seasons. NBC canceled "Community" earlier this month. Harmon later told fans he's warmed up to the idea of bringing the show elsewhere. "When Sony called me on Friday with the news, there was brief discussion at the end of the call about the concept of the show living elsewhere, and I was definitely in the 'eh' column... I will change it to a 'sure, let's talk' on Monday morning and Sony can do their thing. I'm not going to be the guy that recancels cancelled 'Community,'" he wrote on his blog. But, he also warned, "There are lots of reasons a 'Community' resurrection could be difficult. So be prepared for that." Tell us: Would you like to see "Community" return for another season?